Sweetgrass founder Nick Waggoner pauses before lining up the last shot of the day. 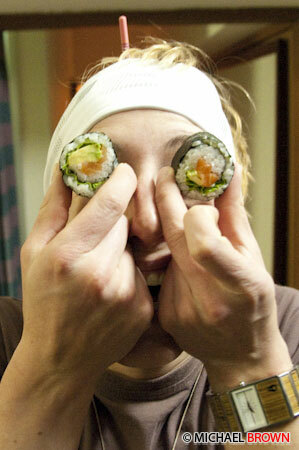 January 8, 2009; After cramming 180lbs of ski gear, cameras, and junk into my packs, I jumped a flight out of LAX to spend the next three months documenting face shots, hot-springs, sushi parties and karaoke, with Sweetgrass Productions in Japan. 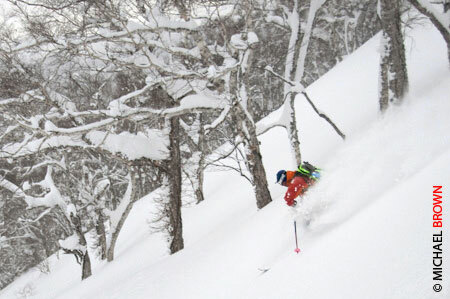 For their sophomore release, Sweetgrass spent nearly half a year in Japan, shooting full season of backcountry skiing on the northern island Hokkaido. 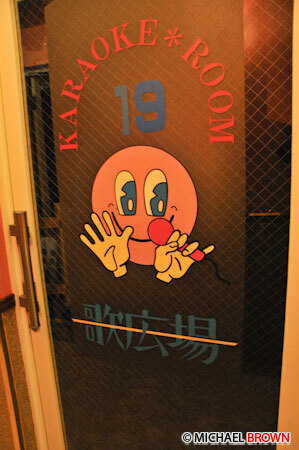 The happy face of Kutchan. We based operations out of the scarcely know farming community Kutchan. 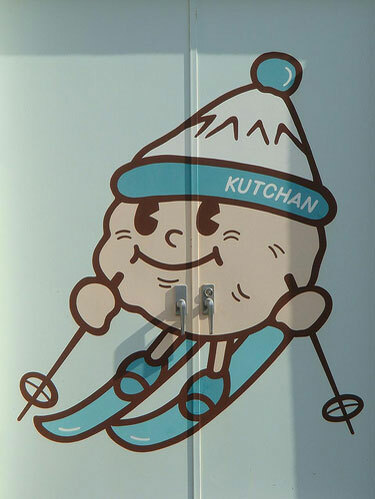 With a smiling anthropomorphic potato on skis for a mascot, Kutchan is half the size of Bozeman located 15 minutes from the resort town Niseko- home to record seasonal snowfalls and six interconnected resorts. 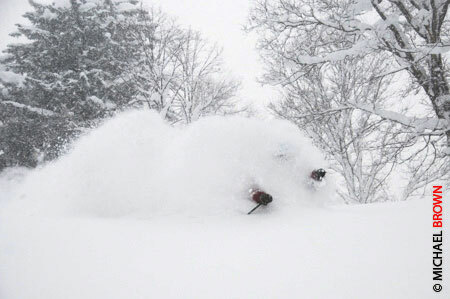 The snow was terrible: it fell all the time, was light, and stayed deep for days. To make matters worse, we found that sushi was available at nearly every restaurant and roadside convenience store, an also, that almost everyone drives on the wrong side of the road in Japan. 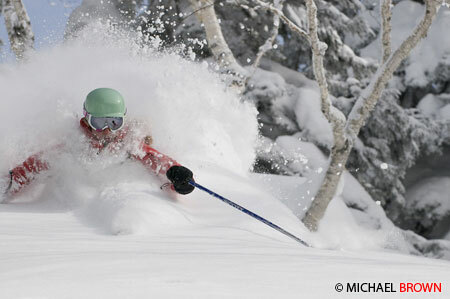 Despite all this, the crew and ever changing team of athletes forged ahead throughout the winter and spring; strapping skins on skis and hitting the pow day in and day out. 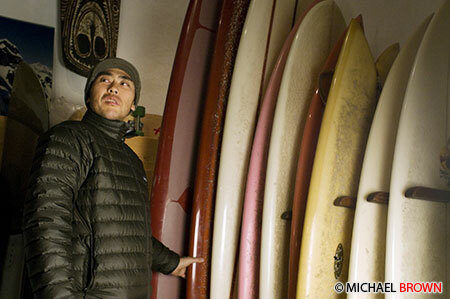 Sweetgrass crew member Zac Ramras heading to the ‘onsen,’ or natural hotsprings after a hard days work. 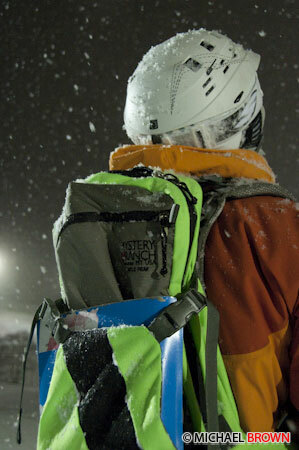 Zac Ramras taking advantage of the night skiing at Niseko Grand Hirafu Resort. 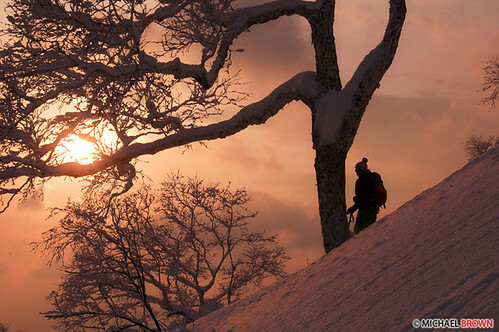 Taro Tamai, a Patagonia ambassador and snowboarding legend in Japan, welcomed us into Niseko, where he has been shredding for over thirty years. 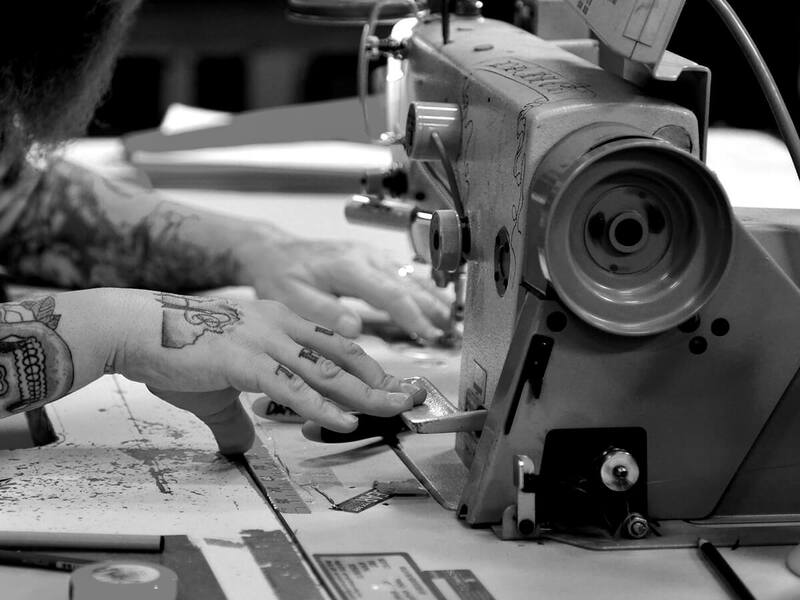 His shop, Gentemstick, where he custom designs and hand crafts snowboards and surfboards, served as a launching pad for connecting with a crew of local riders, learning about the terrain and weather. 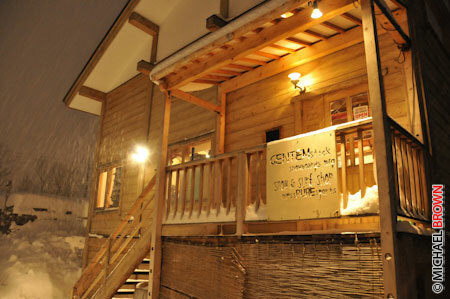 The Gentemstick shop receiving its nightly dose of snow. Taro contemplating zen and the art of riding. 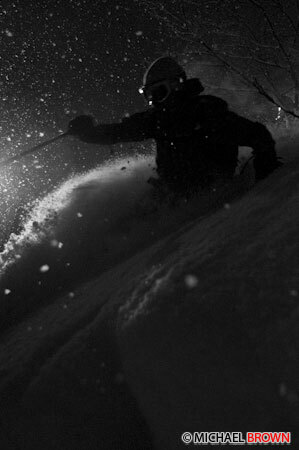 Beyond capturing sick skiing and snowboarding, Sweetgrass places an emphasis on storytelling in their films. This years project focuses on the connection between backcountry riding and nature, illuminating this theme through the perspectives of Japanese riders like Taro. Looking back, it is clear that the trip rocked: we found some of the deepest snow on earth, got to know wonderful people from a warm and inviting culture, sung our hearts out in karakoke booths, and tasted some pretty mean seafood. Check out Sweetgrass Productions at www.sweetgrass-productions.com. Stay up to date on things on their blog at www.sweetgrassproductions.wordpress.com.